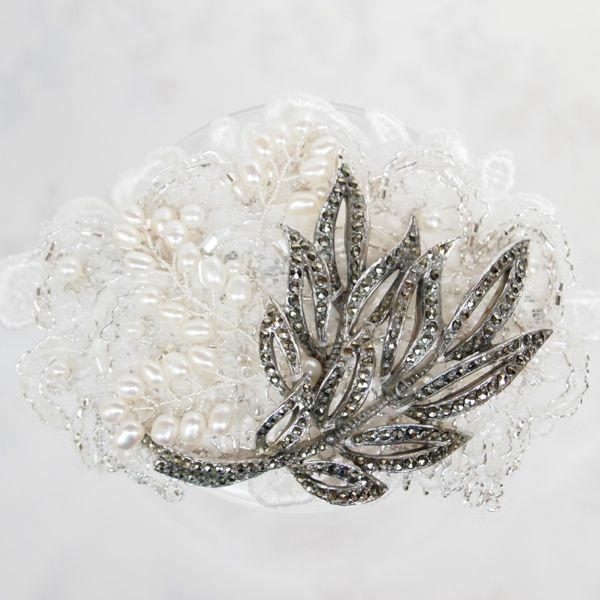 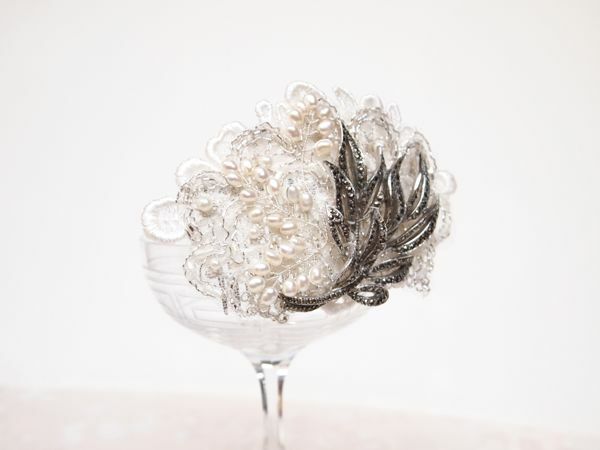 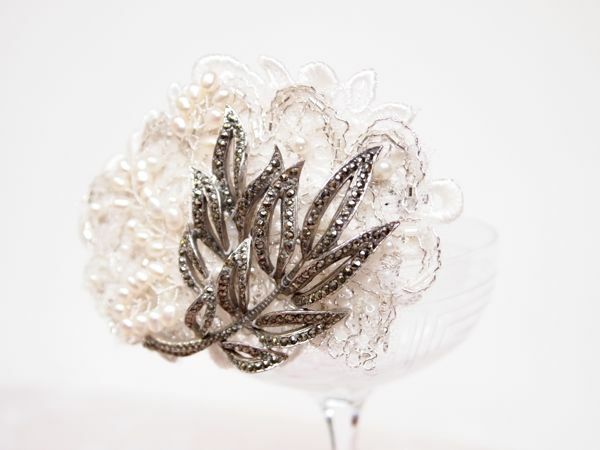 Beautiful large vintage bridal comb composed of layers of gorgeous Venice lace and beaded lace, adorned with sprays of freshwater pearls and featuring a beautiful 1930s vintage marcasite brooch. 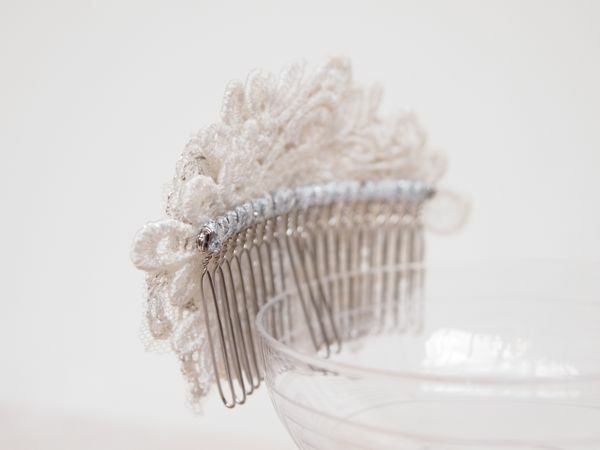 Set on a three inch comb wrapped in silver ribbon that can be worn to the front over your ear or further back in an updo to finish off a beautiful vintage lace bridal look. 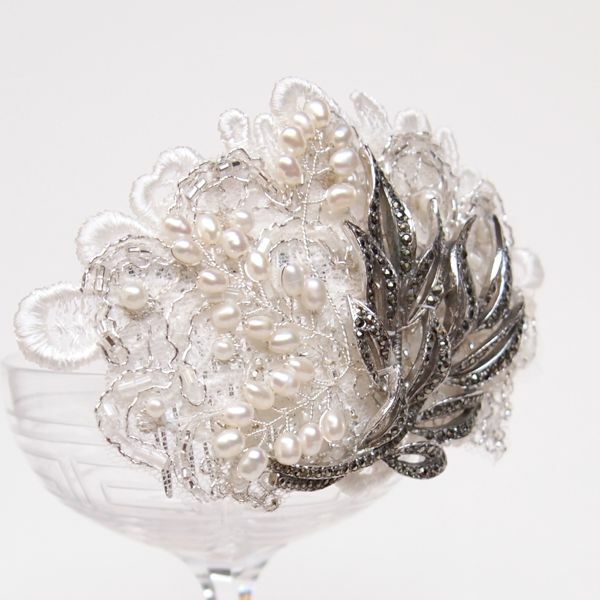 This item is a one-off; if this has sold and you would like something similar, please get in touch.